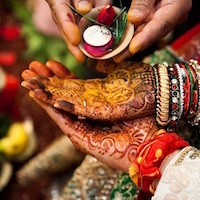 In India, wedding is one of the occasions when people spend the maximum and put their best foot forward so as to make it a grand. But do you think spending money is directly proportional to the fun and enjoyment you experience in a wedding? Well, I don’t think so. Sometimes, even the most neglected things make the most powerful impact in the wedding. Just like the bridal entry. Leave everything aside and its time to focus on the ideas for your swaggy bridal entry. Chuck the boring bridal entries and try these trending ones that will instantly make people go wow. Let’s check them out. You must have seen the groom coming in a car several times. How about the bridal entry in a car? This very not only astonish the guests but will look cool as well. Enter the place in a car with your bridesmaids to cheer you up. Forget about entering in a quiet way keeping your eyes down. Bring your fun mode on and make an entry dancing on dhol beats. 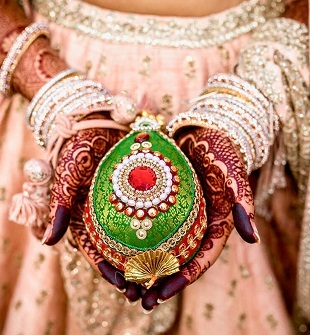 It is quite a new trend among the brides which is worth copying. Also, it gives you the opportunity to show off your dancing skills too. The bridal entry may be in a royal way too like the princess used to enter sitting on an elephant or a beautifully adorned carriage. This is going to make you feel like a princess which is more important. Try this one! Not every body likes to try old things in today’s modern time. So, become an exception. 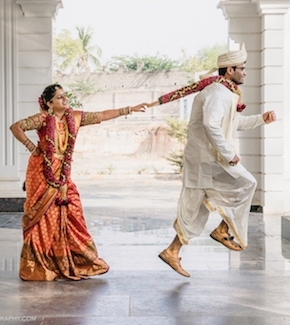 The palki bridal entry looks oh-so amazing and this entry will be a breath of fresh air from the usual loud entries which have become common nowadays. When the bride arrives and you are ready to welcome her by showering flowers, well, this makes her feel like she is the queen of somewhere. There can be no other way to make your sweetheart feel special on her wedding. This entry will definitely make her smile. The idea is to light up the fireworks as the bride enters the venue. It will involve co-operation from the side of the ladkiwalas. You can ask them to light up the fireworks as the bride enters the venue. It will make the ambience brighter and better. Also, the expressions of the bride will be priceless. Opt for these different bridal entries on your wedding day so that your wedding is not like an ordinary one. Invest some time in deciding how you want your bridal entry to be like and prepare accordingly. It does not look wierd but sets you apart from the crowd. Your bridal entry deserves to be special as you are special so, take care of your entry and it will become your best memory to remember. Tip: Don’t hesitse to try something new. If you found the article helpful, give your suggestions in the comments section below and let us know which bridal entry you found the most swaggy one.